I recently had an opportunity to continue reviewing products from the Spiritual Parenting series produced by David C. Cook and written by Michelle Anthony. Michelle Anthony, by the way, has served as the Pastor of Family Ministries at ROCKHARBOR Church, the Family Ministries Architect for David C Cook and is the author of the book Spiritual Parenting (which I previously reviewed here: https://westcoastcm.wordpress.com/2010/11/24/kidmin-book-review-spiritual-parenting). I love, love, love the quality of these videos. All too often, DVD curriculum is simply footage from a fixed camera that someone clearly pushed record on and walked away during a conference. This is not the case with this curriculum. This DVD set is creatively put together with multiple shots and great editing. Seriously, my hat goes off to the guys and gals over at David C. Cook who put this package together – well done! I’m also blown away with the depth of the content provided in this series. Michelle and her team didn’t hold back when they put this series together. There’s a ton of information to be gathered from this curriculum… I’m impressed with the effort that was put into this series. If you read my last review of Spiritual Parenting, you’ll know that I’m often asking what the parent who’s not already engaged in the church should do with this resource. I’m still asking those questions with this curriculum. As a church, we would offer a series like this on Sunday mornings at our parenting gathering/fellowship – which, believe it or not, is not a room full of Christian parents (some are… but not all). 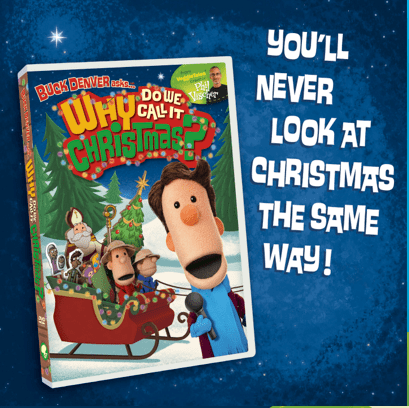 With that said, this could be a great resource to pass on to families who are already committed believers – that’s just not our target audience. I’d also have to agree with my friend, Gina McClain, when she noted that these sessions are LONG. When you factor in discussion and activities, these sessions will clock in at nearly 90 minutes… an amount of time that I think is a stretch for our programming – on campus or in small group settings. Again, it’s not a knock against the content – it would be 90 minutes of greatness. We just don’t have that time in our context. Overall, this is a resource that I’m going to pick up and give to a small group of parents in our church who are looking for a “next step” in nurturing their family’s faith journey. I’ll probably even take the DVD’s for a test run with my wife as we wrestle through some of the great questions that Michelle brings up. You can purchase the series here. Follow Spiritual Parenting on Facebook here. Follow Michelle on Twitter here. Earlier this week, I mentioned that I’d be reviewing Spiritual Parenting by Michelle Anthony… and just that teaser post peaked interest from parents and fellow kidmin leaders. I’ll tell you this up front – I think this is a great resource for some parents and it isn’t the right resource for many others. I think there are truths in this book that any parent can take away, don’t get me wrong… I’m just not going to suggest that you put a copy in every parent’s hands. Who is Spiritual Parenting written for? Our goal as parents should be to endeavor to pass down our faith to the next generation in such a way that they will be able to pass down their faith to the following generation in our absence. Go ahead, read that quote again. If you agree with Michelle’s premise (and I do! ), then you’re going to dig this resource. If that doesn’t resonate with you, if that’s not the end you have in mind, then your going to struggle with the house that gets built on that foundation. So… who is this resource for again? The answer to this question is simple and complex. The simple part – this book is for those of us who deeply desire to pass the faith on well to our children, our grandchildren and the generations that will follow. The complex part – it’s not just for parents. This book is for children’s minstry leaders, pastors, moms, dads, grandmas, teachers – anyone who can shape a child’s life and wants to shape it in a way that makes a lasting impact for generations to come. Anyone who has the power to help shape a child’s environment should take the time to read through this resource. Not familiar with what “Digs and Dribbles” means? That’s okay… I just made it up. Basically, there are parts of this book that I really dig. They will shape the way I parent and the way I minister to families from here on out. There are other parts of this book, as there are in any resource, where the content dribbles a bit. That is, if the book were a fountain of take-aways, there are sections where the water merely dribbles out. The best gift we can give our children is the confidence to see that we believe everything is filtered (even the bad stuff) through God’s hands. We need to release our control of their circumstances. More than any chapter, Michelle’s chapter “A Heart of Dependence: An Environment of Out of the Comfort Zone” (chapter 7) is one that I want the families at our church to own. I would buy this resource and pass it out to every parent in our Homebuilders class and every family that hangs out with us on Wednesday nights if you could guarantee me that 10% of them would own this value after reading the book. I want families to be as transformed by this book as I have been – but, it’s going to take some work on my end. If you’re a parent reading this post, you’re probably already in a place where this book can touch your life and your parenting style – heck, you’re already looking to have other voices and thoughts in your parenting circle. However, if you’re a leader of parents, you’ll need to pick up a copy and start planning baby steps for the parents in your community to get to a place where they feel like they need a resource like this. Because they do – they really do. Order your copy here. Share your own review here. And, as always, share your thoughts below. 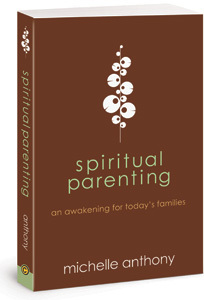 Disclosure: A complimentary copy of Spiritual Parenting was provided by David C Cook for purposes of review. I didn’t promise them I’d be nice… and, I’m pretty sure they’re cool with that.